2.5 Where to go in Iceland? Here are Some More Ideas…. Is there any travel destination hotter than Iceland right now? I doubt it, though literally, Iceland is anything but hot, this little island in the northern part of Europe has become one of the must-visit countries. While Instagram pictures often inspire the followers to visit a place but often lack to give more detailed information, I have asked travel bloggers to name their favorite thing to do in Iceland and here is what they have told us (in addition to the “best things to do in Iceland” you´ll have a short pre-travel guide with the most important information on traveling in Iceland at the end of the post). Find out about the best things to see in Iceland in winter and the best things to see in Iceland in summer. Visiting the Blue Lagoon is one of the best places to visit in Iceland during the winter. 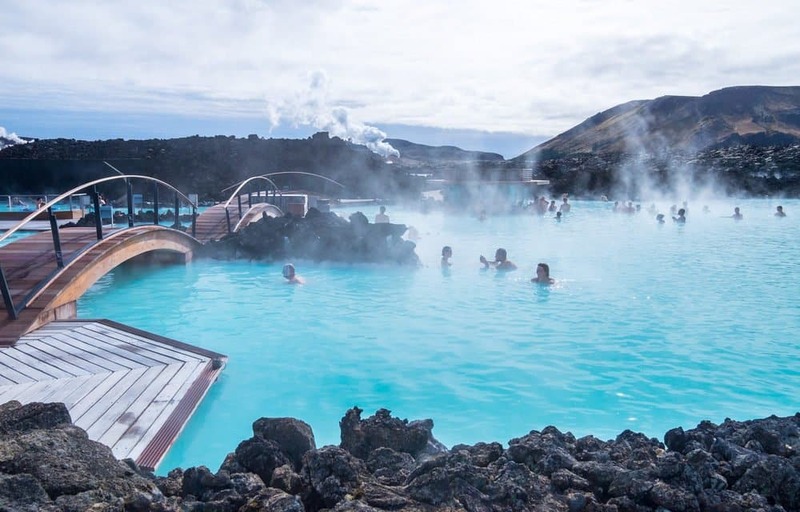 This milky-blue geothermal spa is one of the 25 wonders of the world and is the top bucket list travel experience for millennials. 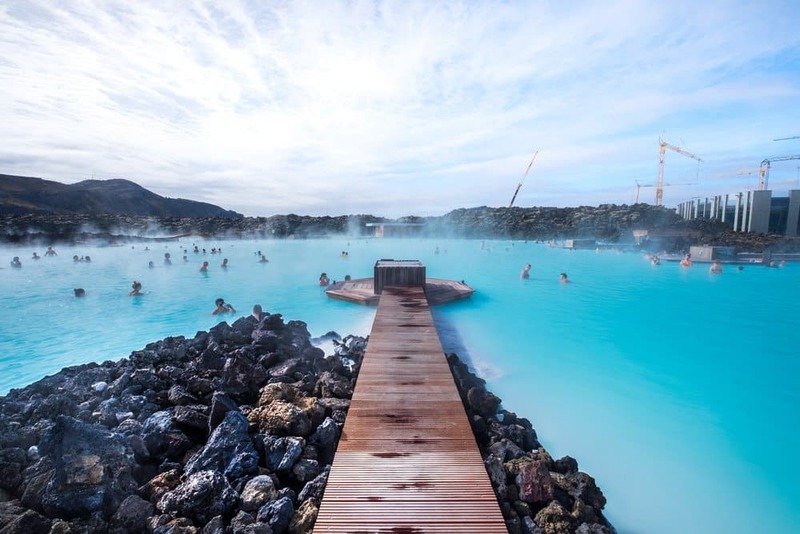 You cannot visit Iceland without soaking in the Blue Lagoon! It is the perfect place to visit in Iceland during the winter when you can enjoy snowflakes falling on your head while you relax in the steamy hot mineral water. There’s no better way to enjoy a break from the freezing cold temperatures in winter. It is also very romantic, so grab your lover or find one there and blissfully soak the day away. Get a glass of prosecco from the swim-up bar and you’re in heaven! Lose the crowds by wandering to the outer edges of the Lagoon. 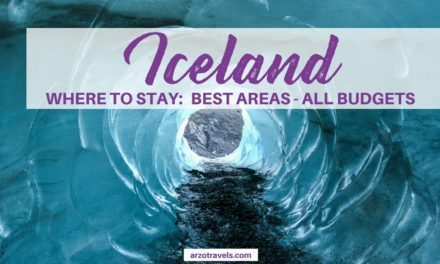 The Blue Lagoon is only about 30 minutes from the airport, so it makes sense to visit after you land or on your last day before heading to the airport. Give yourself plenty of time- we spent about 4 hours there but could have easily stayed all day. There are buses that will take to from the airport to the lagoon, or you can rent a car and drive yourself. 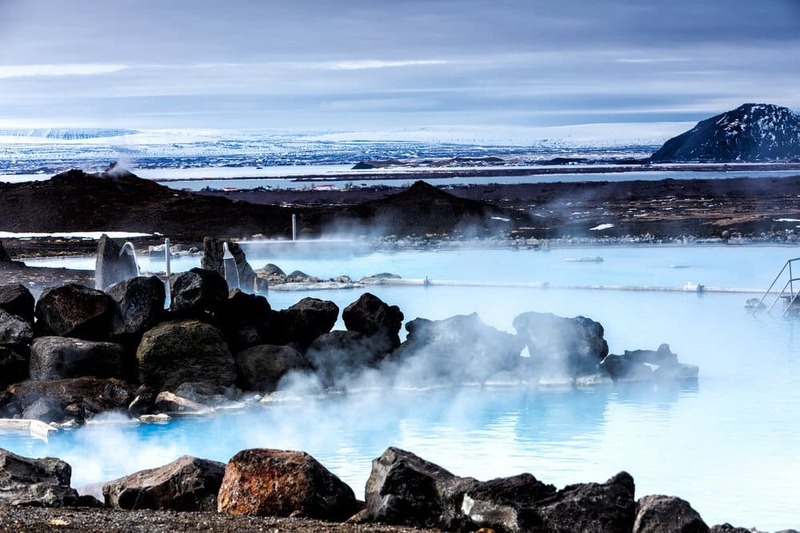 Make sure that you book your Blue Lagoon tickets well in advance – the Blue Lagoon has become one of the main tourist attractions in Iceland and so this does not surprise it is so busy. We made the mistake of just showing up and being turned away. Thankfully they were able to squeeze us in another day during our visit, but it was an inconvenience to drive all the way back again. Tickets start at $50 which includes a silica mud mask for silky smooth skin. Bring your own towels, bathrobes, and flip flops if you want to buy the cheapest package. 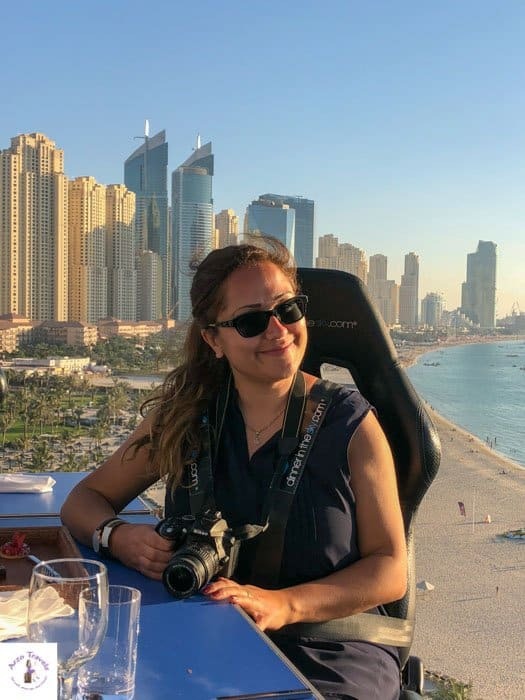 Don’t forget to bring your camera to snap photos of the famous blue water that seems to glow thanks to its mineral content which reflects the sun. Depending on how serious you are about your hair, bring something to pull it up or even a swim cap if you plan to get under the waterfall. The minerals dry out your hair, so slather it with tons of conditioner when you shower prior to entering the lagoon. That’s the 411 on the Blue Lagoon. Enjoy this epic experience in Iceland! Glaumbaer is a traditional turf farmhouse which is now being operated as a museum – is one of the best places to visit in Iceland. Located in the north of Iceland, the farmhouse that you see was built in the mid 18th century. 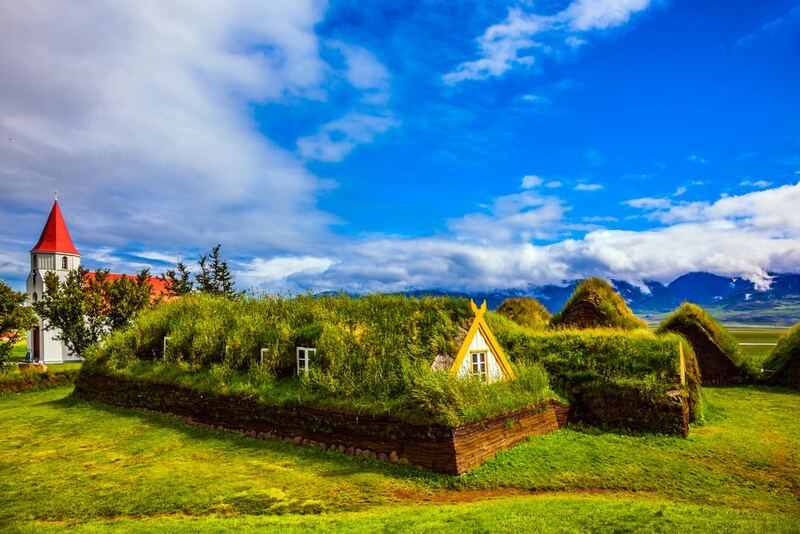 Building turf houses with sod roofs and little windows was an Icelandic tradition that dates back to the time of the Vikings. There has been a house in this location since the 11th century when the land was farmed by Snorri Porfinnsson. Porfinnson was probably the first European born in North America because his mother accompanied her husband on the expedition to Vinland with Leif Ericsson. Porfinsson is also created with helping to spread Christianity in Iceland. There is a statute to Porfinnson and his mother in the church next door to Glumbaer. Visiting Glaumbaer was like stepping back into time. You have newfound respect for the hardiness of the Icelandic people who created homes in this inhospitable climate. The turf houses look like hobbit houses from the outside but the inside is spacious if somewhat dark. Everyone who worked on the farm would have lived in this house from the owner and his family to the servants and the farmhands. Iceland’s Vik Beach is otherworldly and mysterious in the winter – and one of the best tourist attractions in Iceland. The village it is named for is the southernmost town in Iceland about a 110 miles (180 km) drive southeast of the capital city Reykjavik. The easiest and most efficient way to get there is by car or tour bus from Reykjavik. Even though it has a small population, Vik the is biggest town in the area and an important stopping point mostly due to its amazing beach with its black sand. 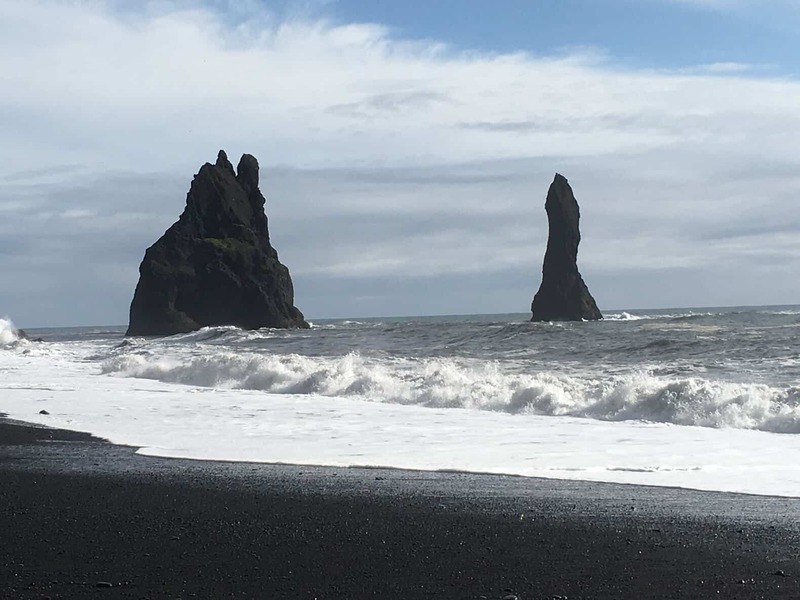 The sand is black in Vik Beach due to the volcanic eruptions that have deposited lava and ash over the centuries. In the winter, the black sand and the white ice make for an eerie combination. Are you on earth or on a distant moon in a frigid and forbidding galaxy? The otherworldly aspect of Vik Beach in winter is exacerbated by the ocean’s reputation for rushing up on the shore, grabbing unsuspecting visitors and dragging them into the cold waters of the North Atlantic. The nearby basalt rock formations and caves complete the picture of a ghostly yet beautiful landscape. Iceland’s Vik Beach in winter is not a place you visit, it is a place you experience and one of the top places to see in Iceland. 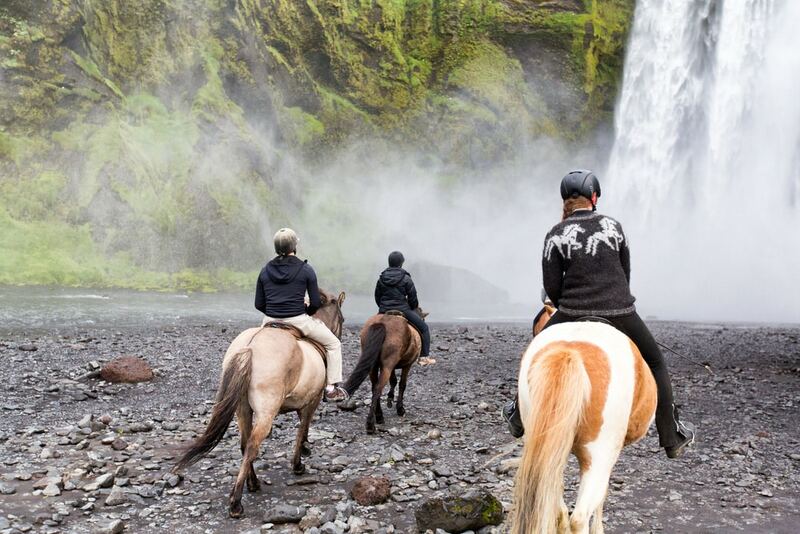 Just recently we went horseback riding in Iceland and consider it one of the top things to do in Iceland. While you’re driving around Iceland you will more than likely see hundreds and hundreds of horses everywhere you look. 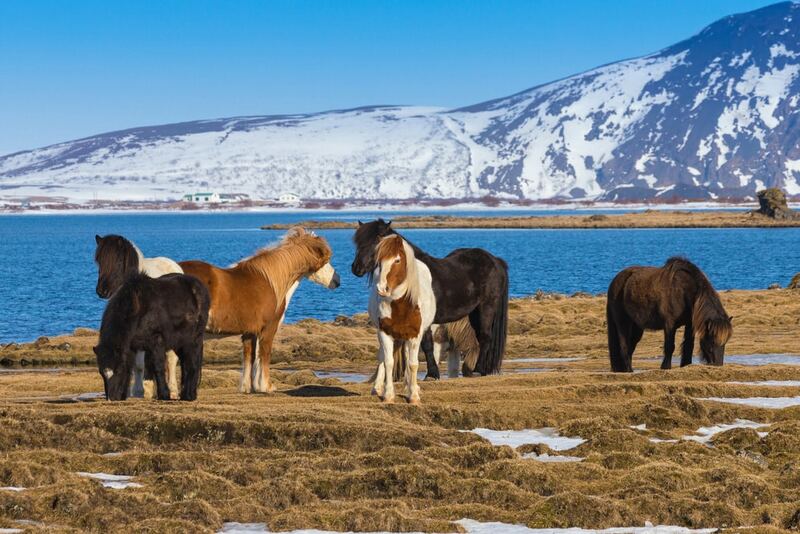 These Icelandic horses are a special breed that can only be found in Iceland. What’s so special about them? Well for one they are much smaller than a regular horse and many people confuse them for ponies – they are not. They also have a very distinctive gait style called the Tolt. The Tolt is a natural and fluid gait that is decently fast and one foot is always touching the ground. We decided we had to try horseback riding in the wild Icelandic countryside near Vamahlid to see what this Tolt was all about. For two whole hours, we were gallivanting through meadows, rivers, and even near some glaciers which were magical. Of course, you can do this activity in the summer, but I prefer to go in the winter as you start to feel like you are really in ICE-Land and it is much less crowded! You can find horse riding stables all over the county. Where to go in Iceland? Here are Some More Ideas…. A trip around the famous Ring Road is a another great activity in Iceland. There are so many magical stops right off it to venture to it will be hard to see everything without years of exploration. 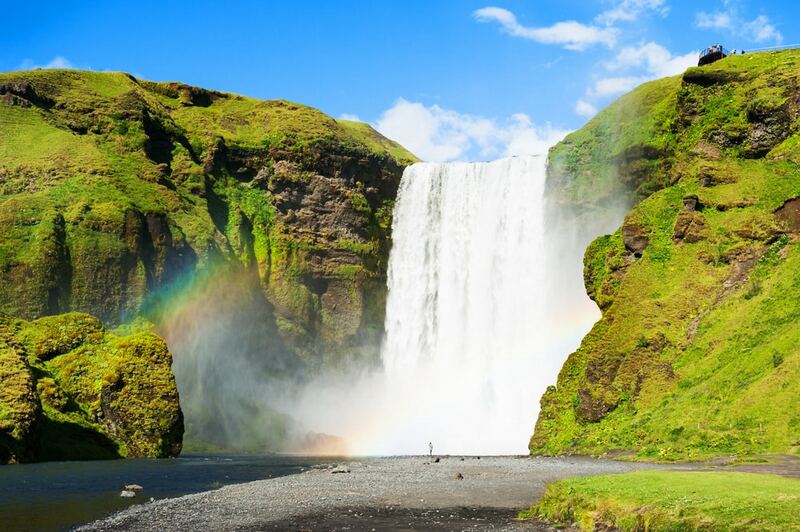 However, one of the best sights literally right off “Route 1” is Skógafoss waterfall. Skógafoss is one of the biggest and most iconic waterfalls in Iceland at 15 meters wide and 60m high and if you are wondering what to do in Iceland this has to be on your Iceland itinerary. It is located in the Southen part of Iceland near the town of Vik. It’s even been featured in a number of movies like “The Secret Life of Water Mitty” and Thor”. You can either venture under it or climb up to the very top of the waterfall on a nearby staircase. If you want to stay overnight there is a campsite and restaurant at the site! Iceland’s iconic Gullfoss Falls in the well-trodden Golden Triangle tourist route is hardly visible on approach, as you wind along the cliff edge; the largest waterfall in Iceland reveals itself, tumbling between two rugged rock faces, like the earth has opened up releasing a magnificent mass of water. You hear Gullfoss before you see it, and even in the cold embrace of Iceland’s winter there’s a promising roar. There’s no real difference when the temps plummet past zero, the cool brings less crowds, a sense of calm and a distinctly beautiful landscape. The unbridled force of the Olfusa river emptying into the canyon is replaced with a less urgent rush, yet still as magnificent. Add this place to your Iceland itinerary as it one of the most beautiful places in Iceland. It’s as if the tumbling falls have been snap frozen, creating spider-like icicle tentacles that creep up the 32 meter falls and consumer the cliff faces, which can tower 70 meters high. Below the surface the water fed by Langjokul, Iceland’s second largest glacier still stirs and at the very center of the falls, the falls are at its most fierce, evident with a plume of white mist rising to the surface, like a reverse snow storm. Gullfoss Falls in the winter offers a spectacular wintery scene of snow and ice against the crisp blue sky and much more exciting than the familiar ‘Golden’ brown hued tumbling body of water and hoards of snap-happy tourists in the summer. Words by Rene Young, who writes about travel with kids at Together we roam. If you are heading to Iceland in summer, you might want to consider to travel down to the Southern coast of the island to experience of the best things to see in Iceland. A few hour drive from Reykjavik is the Solheim Glacier (Sólheimajökull). 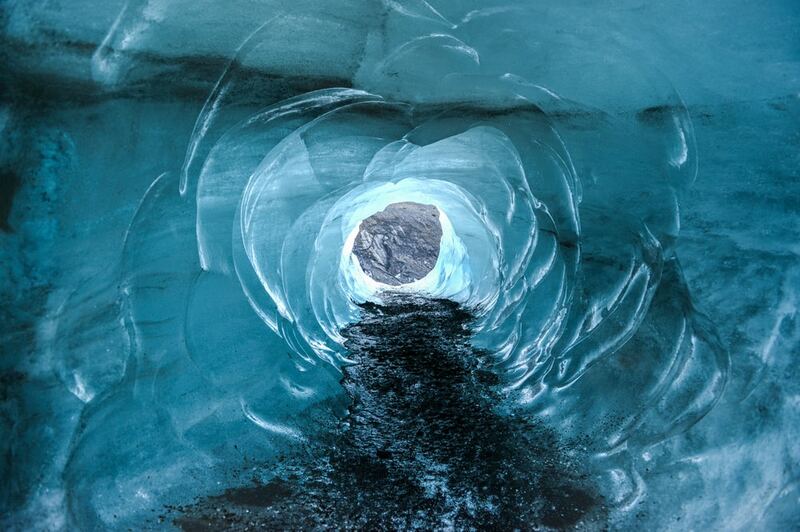 The word “jökull” means glacier in Icelandic and it is one of the best tours to do in Iceland. 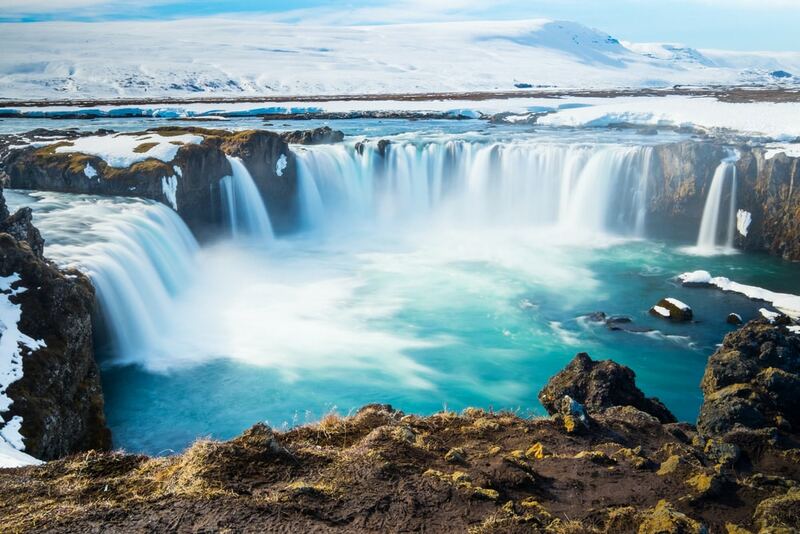 You can take a group tour bus to pick you up from your accommodation in Reykjavik or its an easy drive down via Route 1, you can also stop along the way to see the beautiful waterfalls, Seljandafoss and Skogafoss. The glacier hike in Iceland was one of the most memorable experiences and best activities in Iceland. Our guide was very experienced hiking in the icy conditions and shared very valuable stories and information about the Global warming and climate change and its harmful effects to our world. The hike took us about a couple of hours, we started at the campsite at the edge of the glacier to do our safety briefing and instructions. Since the glacier preceded in such an alarming rate, the entry to the glacier was now around 30minutes trek from the campsite unlike before that is only a stone throw away. It was my first time to trek on a glacial ice and it feels so surreal. The beautiful landscape of Iceland was truly mesmerizing as if you are on another planet. I would definitely recommend this hike to anyone during the glorious summer days in Iceland, just remember to wrap up warm (yes, even in summer). Where too go in Iceland? Here is another idea. Iceland is truly a winter wonderland and we are so glad that we visited in winter. One of the best experiences in Iceland in winter is to get into a geothermal pool at the end of the day. It is not just soothing those sore muscles but it is also healing. Instead of the famous blue lagoon, we decided to try some alternate geothermal pools in Iceland and we narrowed down to Mývatn Nature Baths. After a day’s hike, we cannot begin to explain how amazing it felt to dip into the toasty 36 – 40°C pools. There are two pools here. One is warmer than the other. If you are visiting in summer you can try the cooler one. There is also a smaller hot tub nearby for that extra warm water that may make you want to just stay there for hours. The Mývatn Nature Baths are located in a geothermal area east of the Grjotagja (Game of Thrones fans will probably know this cave thanks to Jon and Ygritte) and west of Namafjall. It is marked correctly on Google Maps, so reaching there is a breeze. There is parking within the premises. What you need to know beforehand is that like most geothermal baths in Iceland, there are separate shower rooms for men and women. You are expected to take a shower naked in the communal shower. If you are a bit shy, just be mentally prepared for people strutting around naked without a care in the shower rooms. There are lockers for your valuables and there is also a small restaurant if you feel peckish after your soak. Mývatn Nature Baths was a fantastic experience and if you are super lucky you might even catch the northern lights while you are there in the winter! 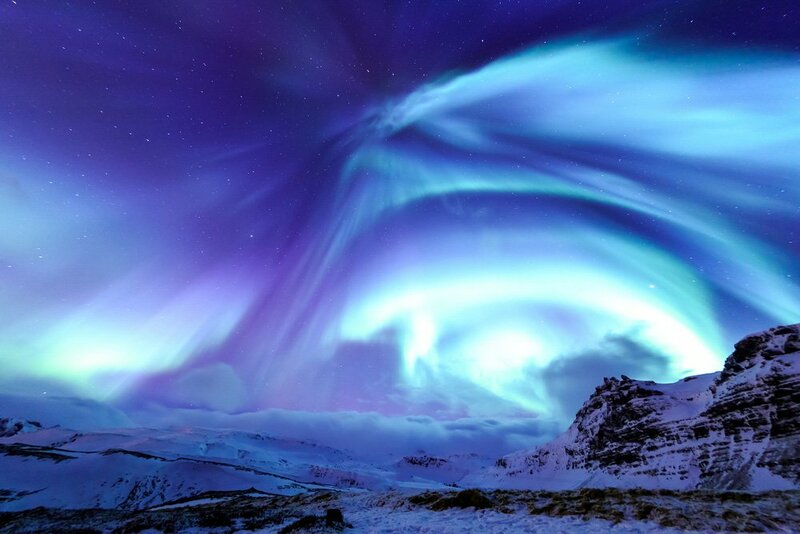 Iceland is a great place to go hunting for the Northern Lights between September and mid-April. There are a few different ways you can do that – bus tour, boat tour, staying in a rural hotel with the option of a Northern Lights wakeup call or renting a car and going out on your own. 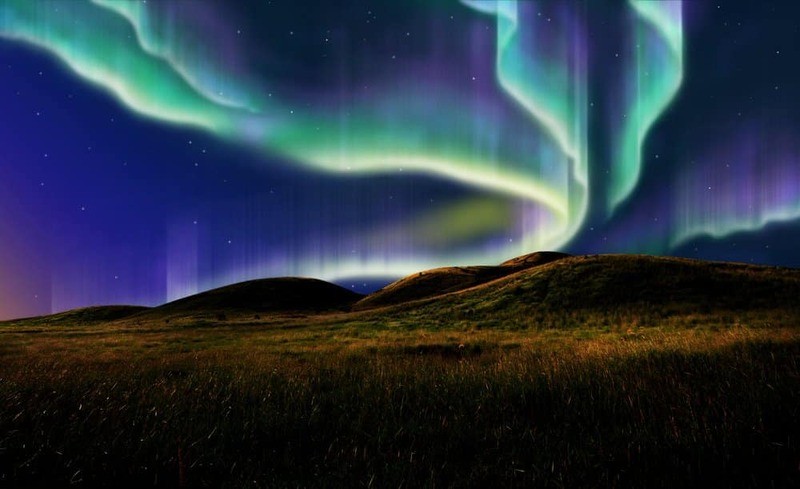 One of the key prerequisites needed for a display of Northern Lights is clear dark skies, which means that the tours take place at night and are weather-dependent – they will get canceled if the cloud cover is too thick. You will also have to get away from the populated areas due to the light pollution they produce. 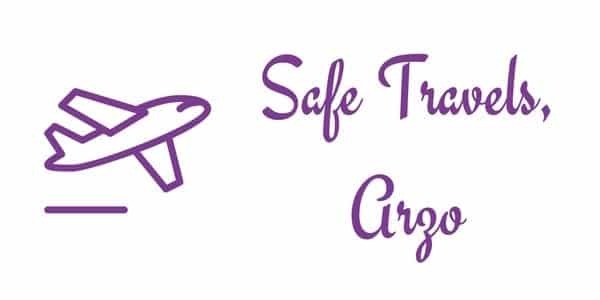 If you want to book one of the tours, my recommendation would be to get a date at the beginning of your trip, so that you can rebook if you don’t see anything – most of the tours allow you to go again for free in that case. Tip: Do not plan anything for very early the next day as you are unlikely to get back to the hotel before midnight. Finally, if you are going in winter, dress warm – standing outside in the snow at night got very cold very quickly for me!If you are planning to explore on your own, make sure to check the Aurora forecast from Iceland’s Met Office before you set out, which will show you the cloud cover and the activity level. Seljavallalaug, this hot mountain spring, is surrounded almost entirely by mountains and is a beautiful place to go for a warm dip. Although it’s open year round, the best time to go is the fall, since it’s outside of peak tourist season but still has good weather and sunny days. I went in November and enjoyed spending a bit of time finding this hidden place, dipping my feet in, and soaking in the surrounding mountain views.Because it requires straying a bit from the main Ring Road and hiking for a few minutes, this hideaway is significantly less tourist-filled than the nearby waterfalls or the Blue Lagoon. While there, you can relax in the warm geothermal waters, or just dip your feet in and explore around some of the nearby hiking trails. 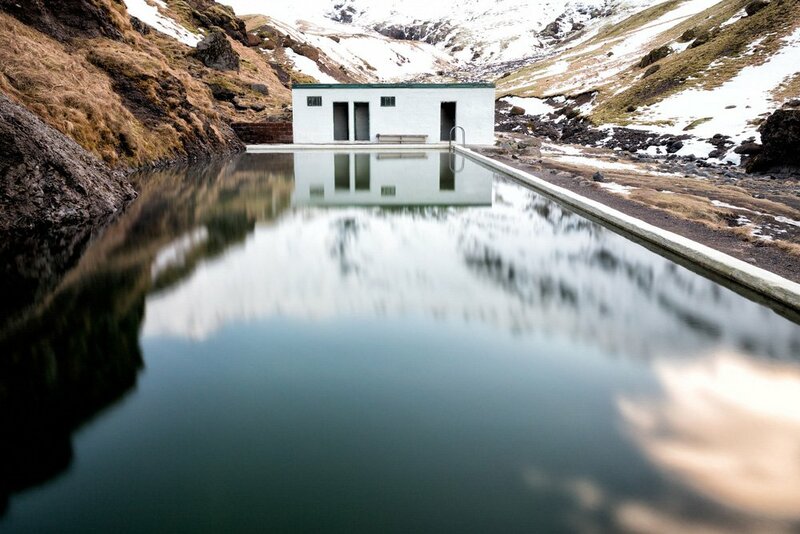 Either way, Seljavallalaug is worth a visit for the sheer beauty and seclusion of this unique swimming pool.Located within a few hours from Reykjavik, it’s an easy day trip from the city, or a nice stop on your Ring Road itinerary in Iceland. To get to Seljavallalaug from Reykjavik, drive east on the Ring Road past Seljalandsfoss and Skogafoss. Turn onto road 242 – Raufarfell. Drive into that road for a few minutes until you see a gated pool area and a parking lot marked Seljavellir (this is not the pool). From the parking lot, hike on the dirt path towards the mountains about 20 minutes until you see the pool. Swimming in Seljavallalaug is free of charge. Called the “Land of Fire and Ice” for its glaciers and geysers, one example of Iceland’s fiery landscape is the black lava sand beaches. 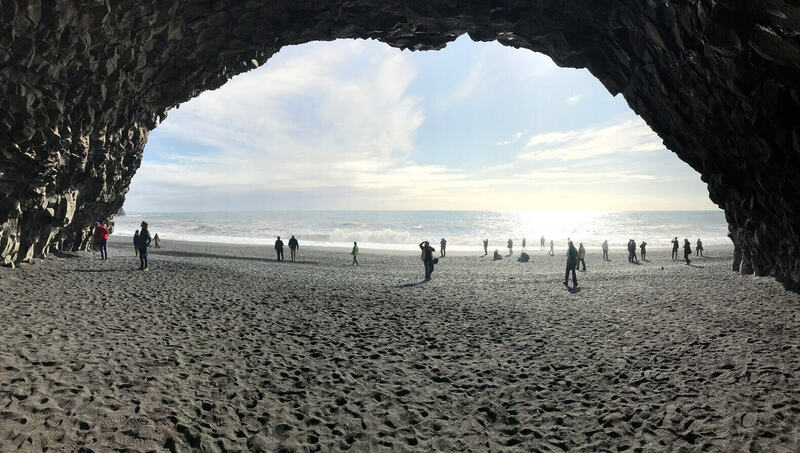 Reynisfjara Black Sand Beach is the most famous and one of the “Game of Thrones” filming locations. Located off Ring Road in South Iceland near the town of Vik, it’s about 110 miles from Reykjavik. Not a beach to feel the sand between your toes, the ground is quite rocky, made of hardened basalt lava. In fact, the landscape looks more like the moon than paradise. Giant angular columns called Gardar guard the cliffside like jagged walls, reminiscent of the Giant’s Causeway in Northern Ireland and there are two notable freestanding rock monoliths called Reynisdrangar that jut out from the sea. Legend has it they’re trolls that got caught in daylight and were turned to stone. You can visit the area on your own, but one of the best ways to explore is on an ATV-Quad safari. It’s a heart pumping, bumpy ride that’s quite wild at times, but definitely an unforgettable, otherworldly adventure. It was one of my extreme outdoor challenges as part of a weeklong tour to become a Certified Viking – truly a unique thing to do in Iceland. Jökulsárlón is one of the most otherworldly places in Iceland you have to see – so if you want to visit the best place in Iceland this might be it. The name means “glacial river lagoon” and that’s exactly what it is. Due to climate change, icebergs are breaking off the glacier next to the lagoon and slowly floating out to sea. It’s a new phenomenon – the lake didn’t exist 80 years ago. 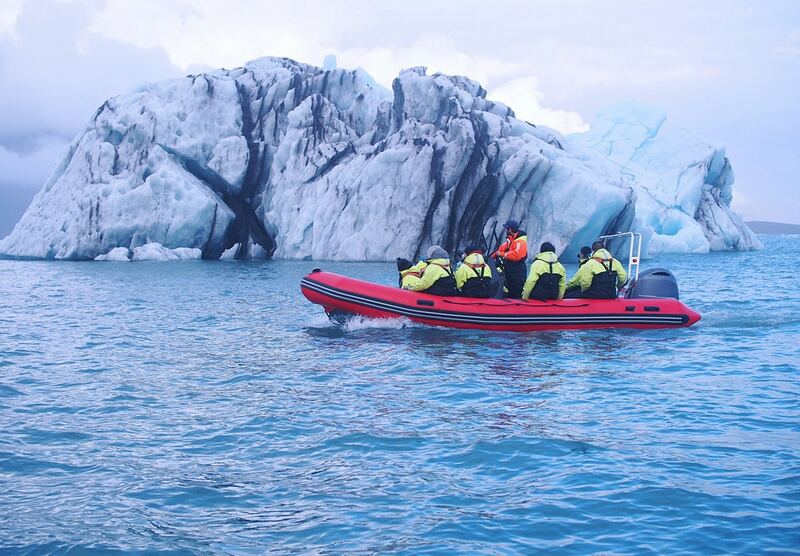 If you want to see the icebergs and the glacier up close, the best thing to do is the one-hour zodiac tour that runs from May 1st to the end of September (longer if weather permits). They get as close to the ice as safely possible and you may even see it calve off the glacier. The boats are small, so be sure to make a reservation. For a tamer approach, you can take a 30 to 40 minutes amphibious boat tour that starts on land and floats among the icebergs. The tours run frequently during the May to September season, but if you don’t like waiting, it’s best to reserve ahead. Don’t miss Diamond Beach across from the lagoon. It’s where polished chunks of ice wash up along the wild ocean shoreline. The Glacier Lagoon is easy to find on the ring road on the south coast of Iceland. It’s about 400kilometerss from Reykjavik. The drive is stunning so if you want to enjoy the scenery along the way, consider making a 2-day trip out of it. One and two-day tours from Reykjavik are also offered and are one of the top things to see in Iceland. Okay, guys these are the top things to see and do in Iceland. I hope you have found enough reasons to add Iceland on your bucket list and got a good idea on what to do in Iceland. Before saying goodbye you´ll find some travel information on Iceland. Iceland is one of the most beautiful places in the world, it’s got amazing landscapes and scenery. It is gorgeous throughout the year in many different ways. In the spring, you get some ice along with greenery and a chance at the northern lights; in the summer, there will be tons of green, pretty blooms, and the midnight sun. Fall greets with you autumnal foliage and the northern lights which continue on into the winter along with the snow and ice. The best time to visit is highly dependent upon what you want to see in Iceland. Each season has its charm – we went in the fall and there were some activities we weren’t able to do due to seasonality, weather, and shorter days; however, the autumn colors and it was a lot less crowded so that was a definite plus. Get a rental car. This is the best way to get around, driving is easy since there aren’t too many cars once you leave the Reykjavik and Golden Circle area. Everyone speaks English. Technically, the national language is Icelandic, but they all learn English in school. You might run into the older generation who don’t always speak English, but everyone’s super friendly so don’t worry about it! Credit is king! I’m sure you’ve all heard the saying “Cash is king!” but in Iceland all of the stores, restaurants, supermarkets, gas stations, etc. take credit cards. Just make sure your card has no foreign transaction fees! Which of the tips has made it on your bucket list for Iceland?